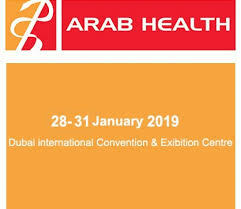 The EWAC Medical transfer aid enable you to transfer patients in and out of the hydrotherapy pool safely. In designing these tools, wet room use was taken into account. 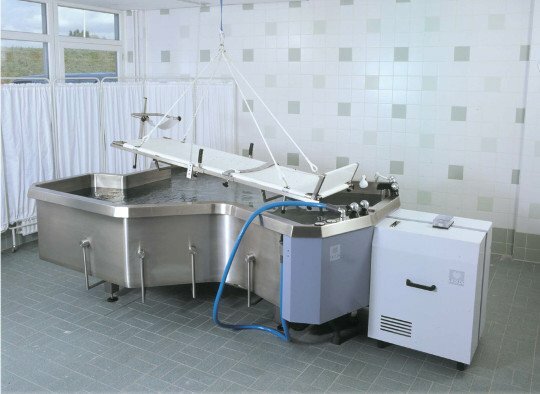 To facilitate the transfer of patients to mostly rectangular or butterfly baths we offer the stretcher. 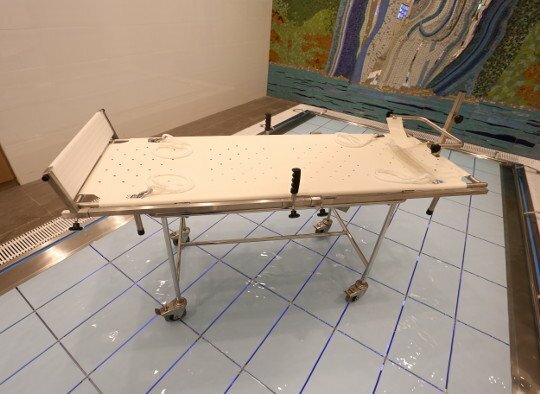 This product in combination with a ceiling host, will allow you to treat any patient in our various pools and baths, particularly those who cannot sit upright. 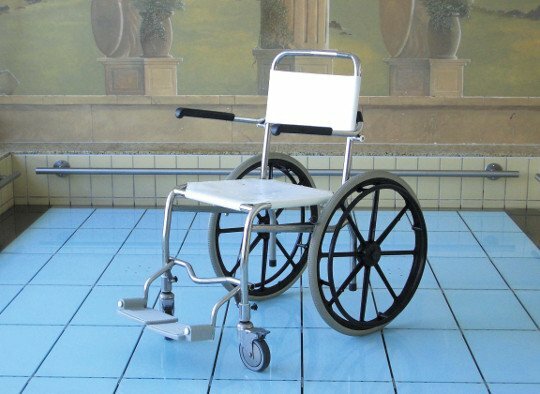 For those wo can sit upright, we have a hoist chair and for self-supporting patients self-propelled wheelchairs. 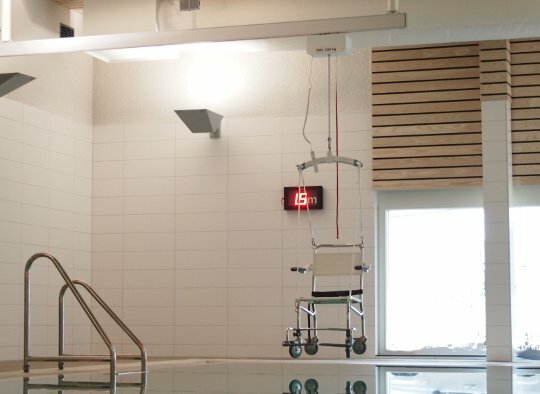 The moist environment in hydrotherapy places other demands on the materials than conventional situations. Therefore, the products shown here are made of stainless steel 316. For use in butterfly and rectangular baths and pools, ensuring optimal safety for the client. 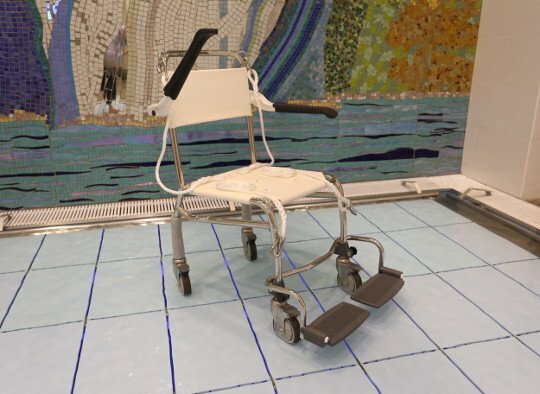 Chair equipped with lifting eyes enabling pully cords to hoist the patient in and out of the pool. 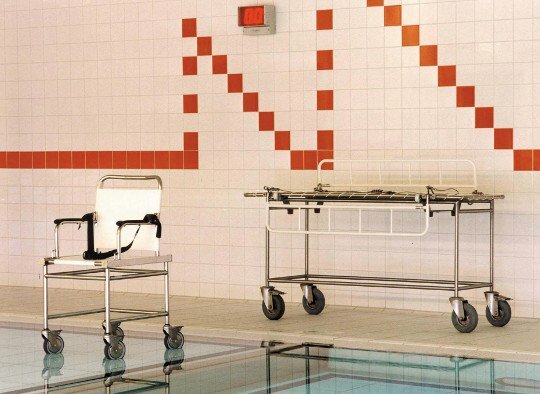 A wheelchair designed to withstand the chloride environment of swimming pools.